Well 3 years and, almost exactly, 3 months after I said “I do”, I finally finished said wedding quilt. The journey has been so fun. Judy was so patient with me (especially after a year in there were I didn’t accomplish anything on the quilt) and really helped me get excited about being a quilter. I can’t thank her enough for her kindness in teaching me and dedicating so much time and so many resources. How fitting for a girl who’d just married a farmer! 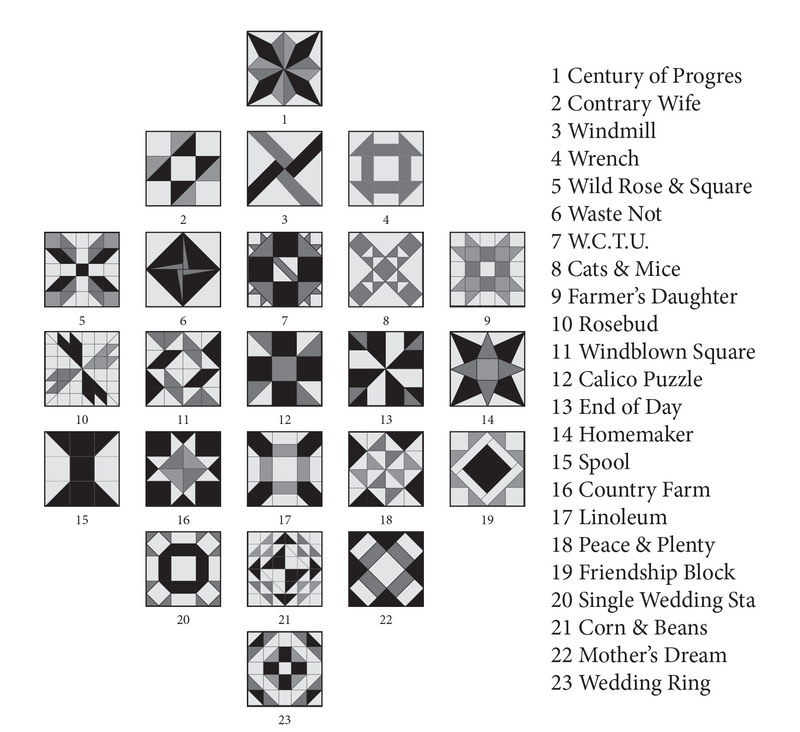 The entire sampler quilt has 111 unique blocks, so we decided to scale it down. 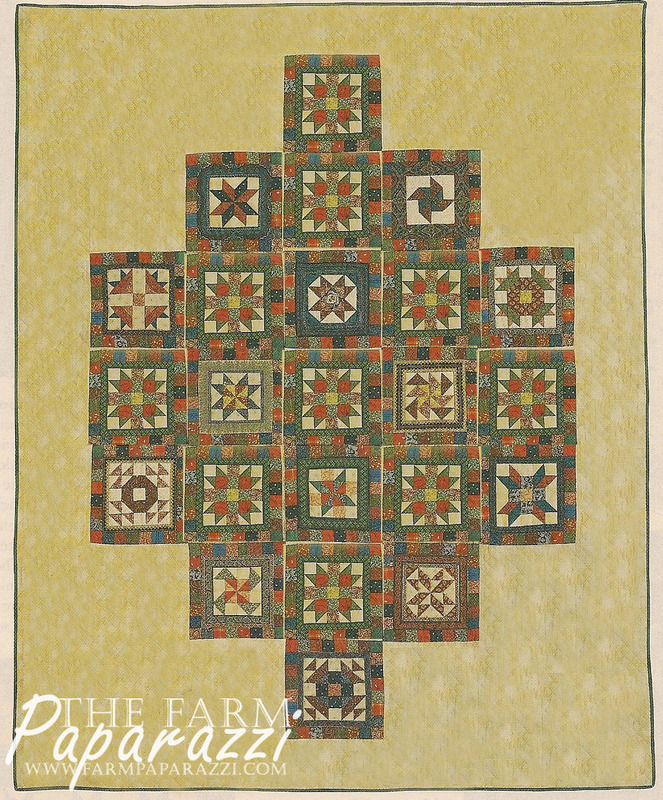 Instead, I found another quilt pattern I liked, chose 23 blocks out of the book and Judy created a design from which to work. Because we wanted to include family in the process, I sent a letter to many of my and Tyler’s female relatives and asked for donations of fabric from their “stashes”. I received fabric from many generous family members. My maternal Gramma Marcie also gifted me with most of her huge fabric stash. Then my mom gifted me my paternal grandmother’s sewing machine. Although she died when I was a baby, having Grandma Rozella’s machine made it feel like she was cheering me on as I sewed my wedding quilt. Judy and I spent a lot of time selecting the right color values for each block. She also washed and ironed all the fabric (no small task). 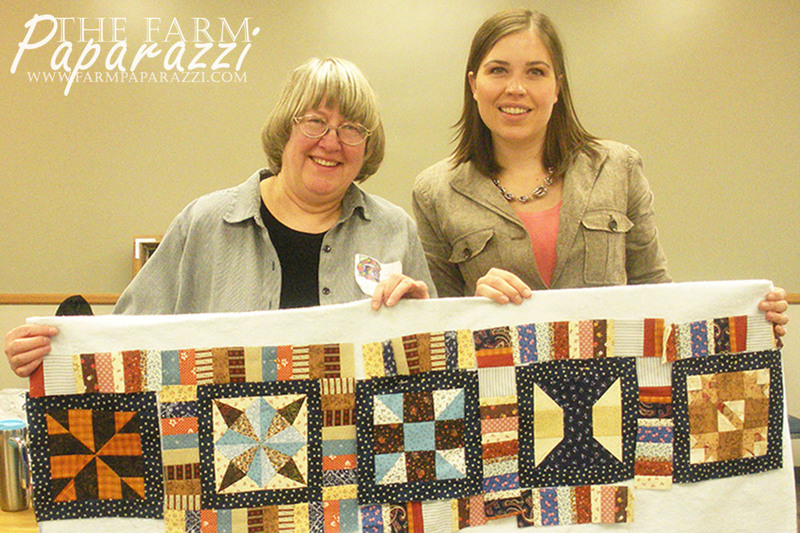 My first piecing experience was at the 2011 Wheatwater Quilters Retreat that the Platte County Parks and Recreation Department hosts each year. Judy started me off sewing all the little tan pieces. I even tried my hand at a couple blocks during that retreat. Over the next couple of years, Judy and I worked on the tan blocks, the sampler quilt blocks and the piano keys (the striped borders). Finally at the 2013 Wheatwater retreat, we finished the blocks, added the brown borders and the piano keys and figured out what order we wanted to display the blocks. 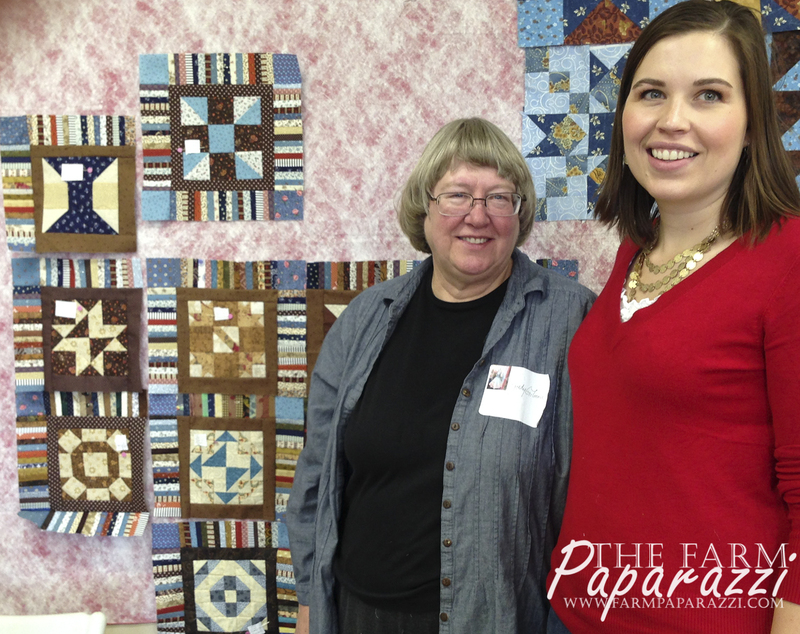 A couple weeks later, we got together to finish the quilt top. 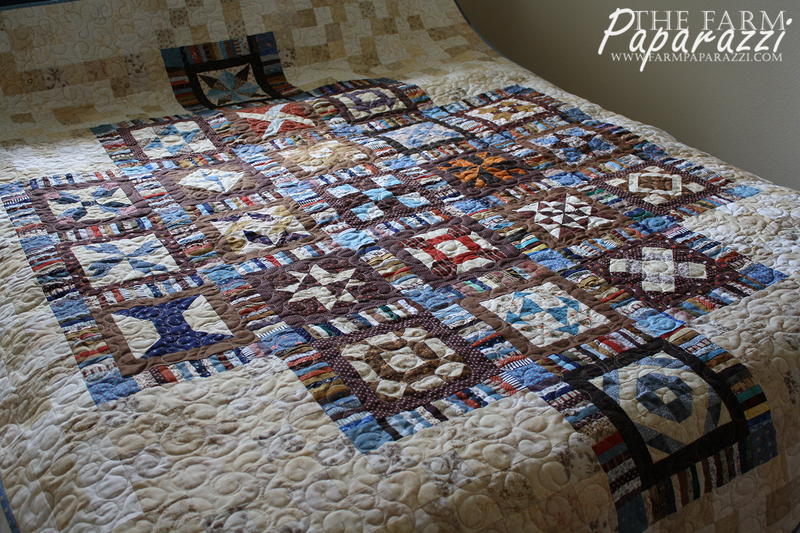 It was so exciting to see all the intricate details start to form a REAL LIVE QUILT! 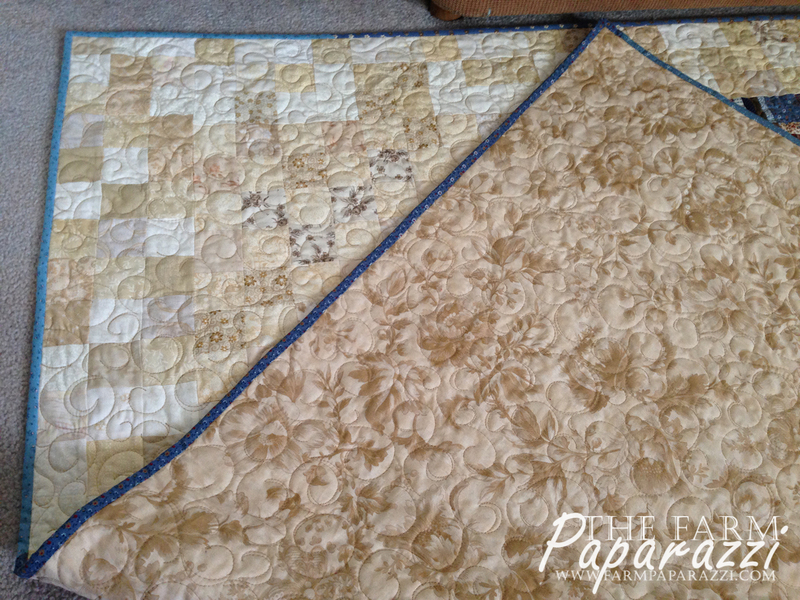 After the top was finished, Judy quilted it on her longarm machine. Once that was done, she showed me how to square up the quilt and how to sew on the binding. I took the project home, finished the binding and then proceeded to jump up and down and squeal! It was finally done! The girl who couldn’t sew a straight line in Jr. High Home Ec. just finished a whole quilt! 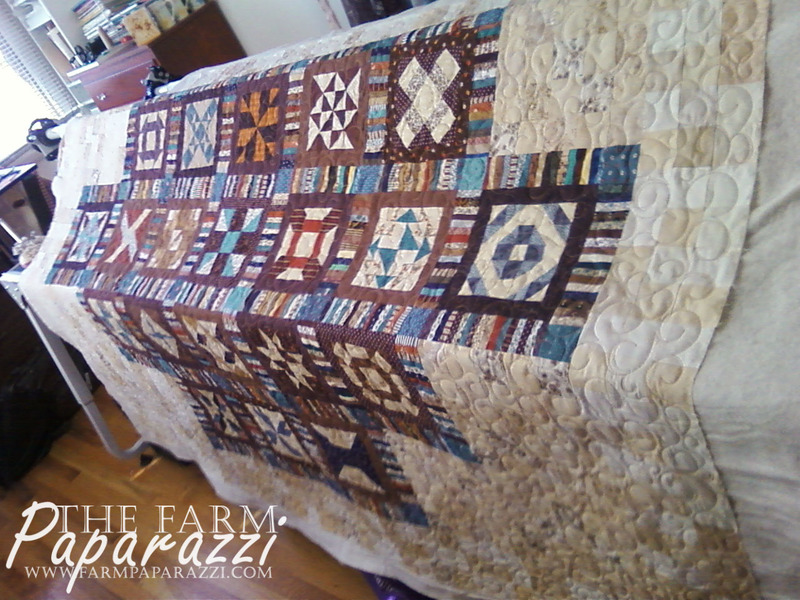 We still have to put the label on, but as of April 2014, the Farmer’s Wife Wedding Quilt is done! 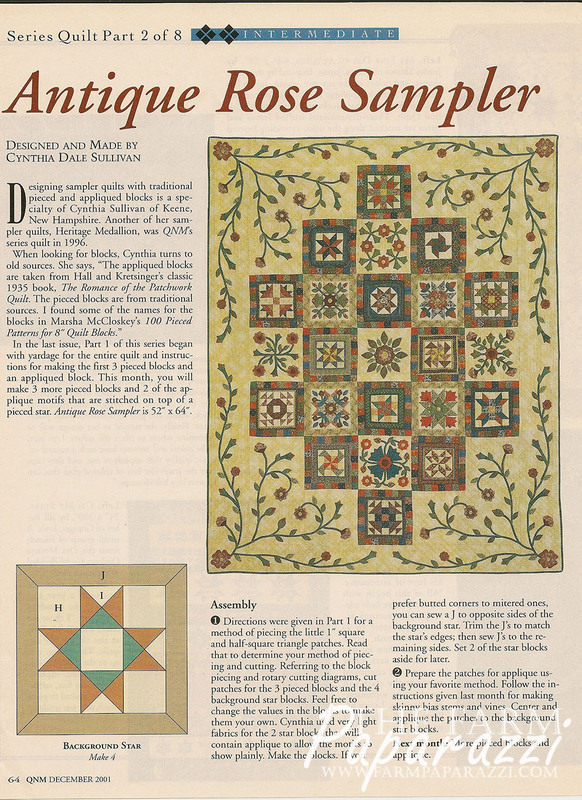 Enjoy your new addition to quilting! 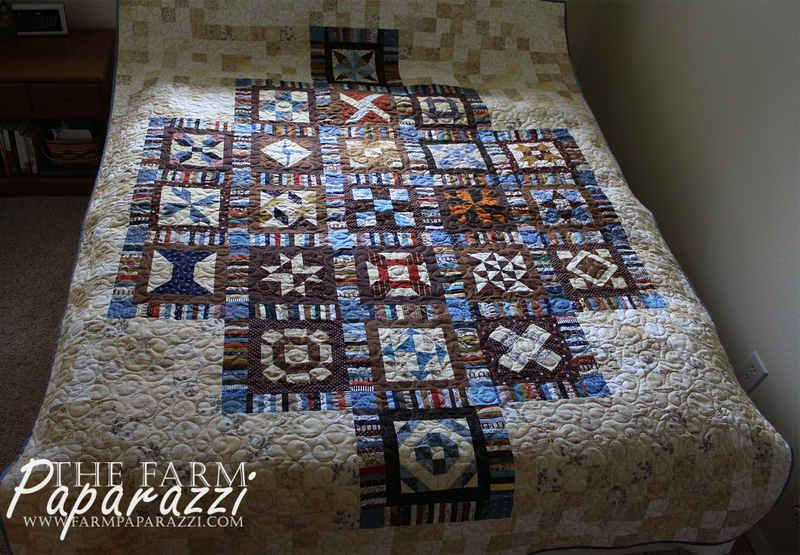 You do need to try hand-quilting so the quilt is truly yours from start to finish. It’s time-consuming, but a relaxing evening project. 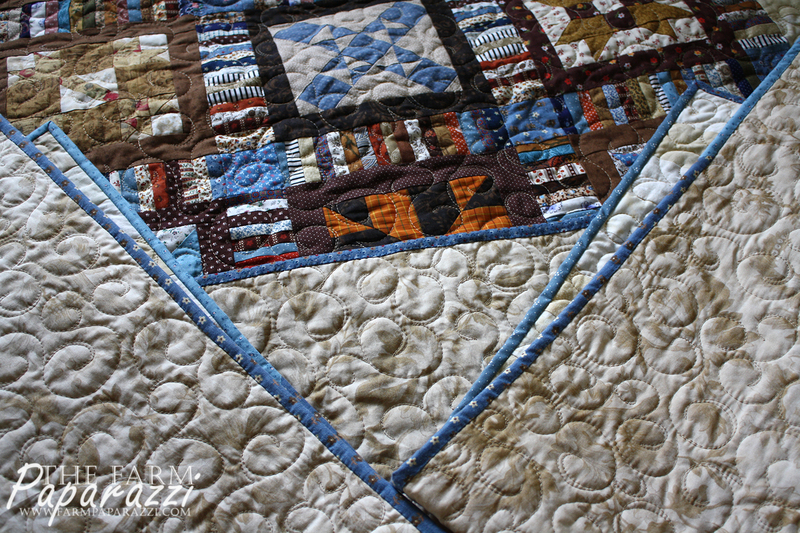 The art of hand-quilting is being lost to machines…sadly. Thank you, Donita! 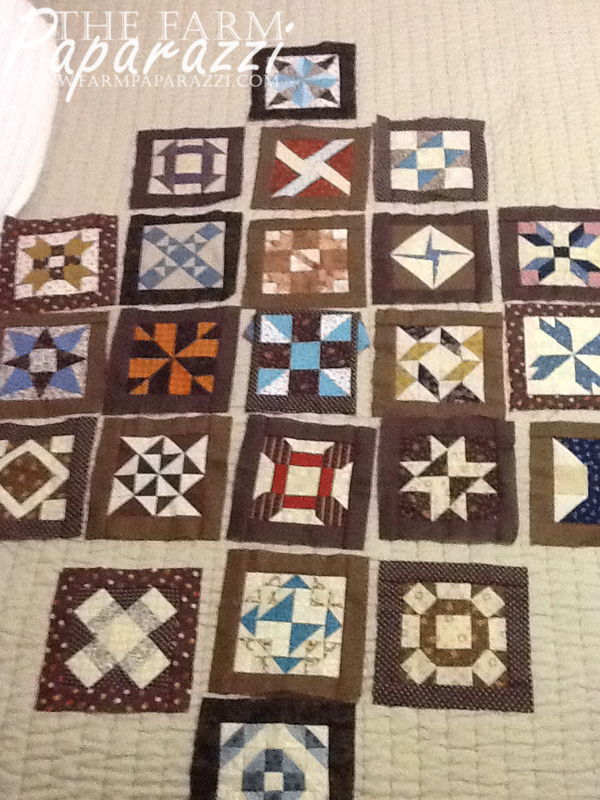 Yes, hand quilting will be a fun thing to learn as I continue to quilt. Thanks for the encouragement. 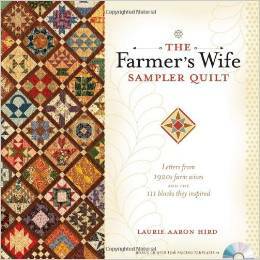 Your Farmer’s Wife Sampler Quilt is beautiful. Thanks so much! Means a lot that people think it’s as lovely as I do. Thanks so much, Jenny! Yes, absolutely! I did two more tops this winter. 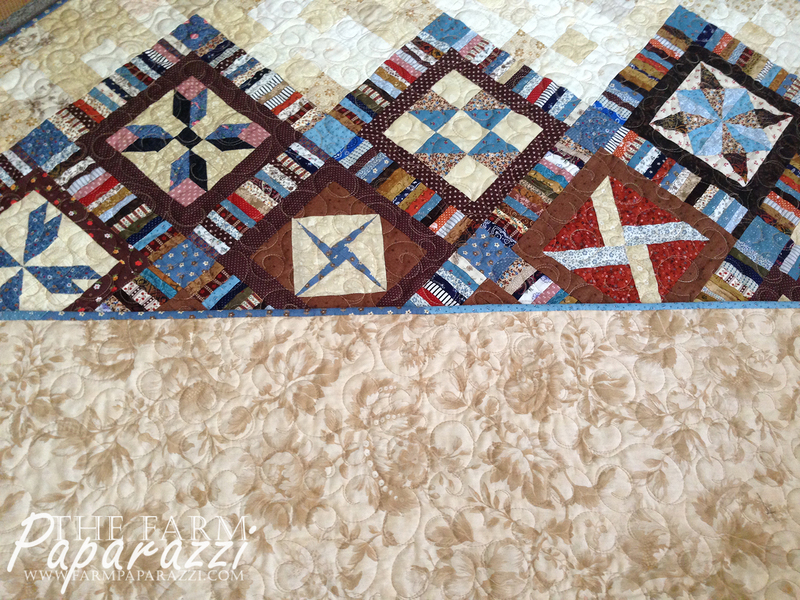 I’ll get quilting again this Fall. Gardening takes over in the Spring/Summer. Saw pictures of your visit with Gramma Marcie and Aunt Mayvis in Ga./Fla. What a wonderful time you had! Lots of love! This is lovely! Oh, I want this book! 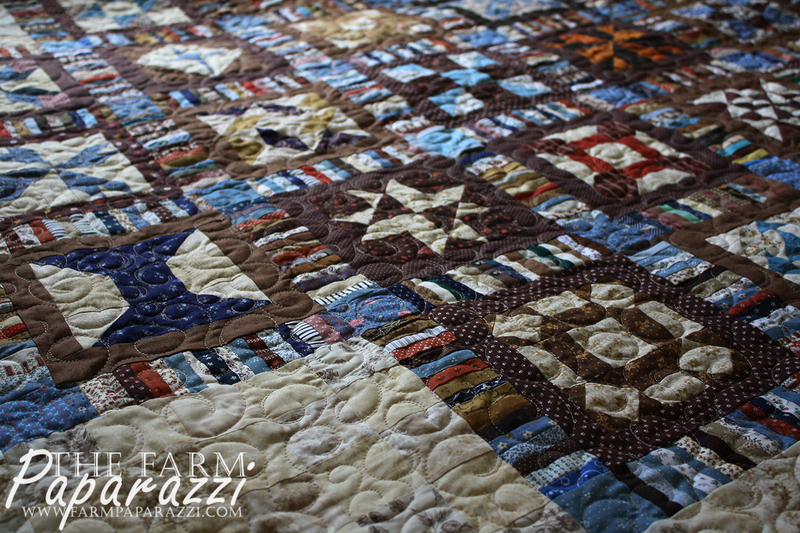 And your post goes beautifully with a barn quilt post I am planning…may I reblog yours when I get to that topic this fall? 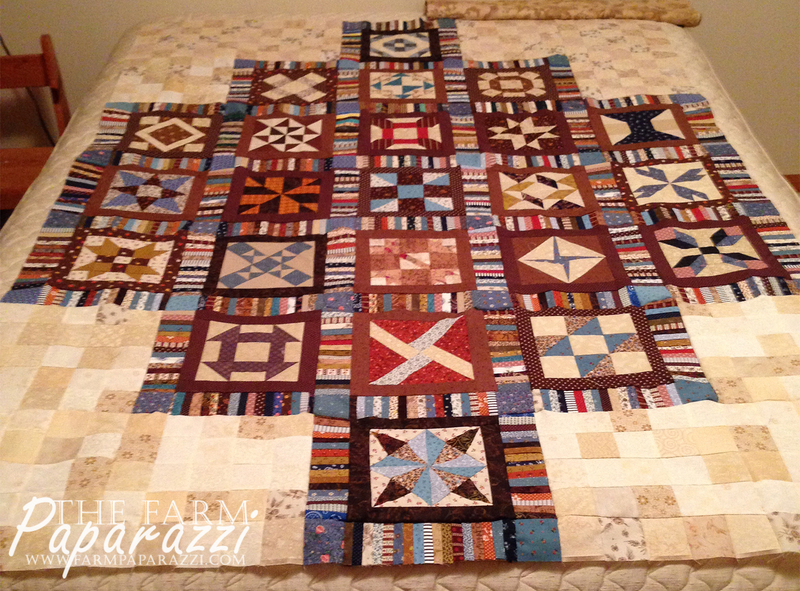 Thanks so much for sharing the story and pictures of your quilting project. FANTASTIC JOB!! Glad I could be a part of the fabric in your wedding quilt. Thanks so much, Veletia! Looking forward to seeing you at Thanksgiving.